Spine. 29(17):1914-1922, September 1, 2004.
neuromuscular differences in patients with CLBP. held for both the right and the left-handed subject group. Muscles: Effect of Side Dominance”, R. Merletti, C.J. that relatively more force is built up at lower firing rates. well as keeping well people well. Our educational institutions have failed to adequately research many of our Chiropractic techniques to determine which work and which do not. We need to determine which theories of determining the location and spatial orientation of subluxations actually hold water. We will be discussing the dynamics of the subluxation complex. I will present my own theories on how to determine and correct spinal subluxations. We will integrate many of the present chiropractic theories and techniques into a universal model. This will help the field practitioner choose from a vast array of chiropractic techniques to accomplish the same goal. Utilizing an integrated model can help achieve conformity among physicians when determining an effective treatment strategy to correctly determine the spatial orientation of a subluxation and its correction. The majority of past and present thought on the subluxation complex do not hypothetically allow for a unified theory. Chiropractic theory usually assumes a randomness of subluxation and then attempts to determine the correction of such subluxations by way of different signs, symptoms, indicators, mathematics, imaging techniques etc. I will present my own theoretical model of the subluxation complex, developed over the years utilizing the scientific method. It is my opinion that subluxations are predictable and do not occur randomly. I believe that we can have close to 100% agreement among field practitioners as to determining the abnormal position of the subluxated segment(s), while still allowing the field practitioner a multitude of techniques and treatment strategies to achieve a correction. I hope that the biomechanical model that I present will help establish a starting point for future research. I look forward to correspondence from other Chiropractors in the field. If you have data that disagrees with my findings, or information to add to my findings I would love to hear from you. Research on the dynamics of the subluxation should never become stagnant. The Beck Theoretical Model of Subluxation begins with the assumption that subluxations do not occur randomly. The model predicts that a vertebra will subluxate in a specific direction that can easily be determined by simple biomechanics. I am of the opinion that we can achieve close to a 100% intraexaminer reliability utilizing my model. The Beck Subluxation Model presumes that vertebrae will rotate to a patient’s dominant side. If the patient is right handed and this is their stronger, dominant side then subluxations will occur with the spine segment subluxating in an Anterior-Inferior-Lateral direction on the dominant side. Therefore, the adjustment will usually be on the non-dominant side where the spine has subluxated in a Posterior-Superior-Medial direction. Spinal correction requires adjustments to the non-dominant side. Vertebrae are posterior-superior-medial on the adjusting side in relationship to the dominant side. This model does not allow for switching, where one time you adjust a vertebrae as if it has subluxated in a certain direction and the next visit the correction is in the exact opposite direction. A spinal segment should never have to be adjusted one time on a particular side and the next time in the other direction. The spine will always subluxate in a specific, predictable direction. If you change the direction that you are manipulating a segment and it produces a better outcome, it means you were initially on the wrong side. A vast majority of Chiropractic research has historically had an inherent flaw. Either the biomechanical model utilized to determine a treatment regimen was inaccurate in whole or in part, or no biomechanical model at all was utilized to determine a treatment regimen. If you do not utilize a biomechanical model to determine a valid treatment plan, there will be little or no uniformity among treating physicians as to what spinal vertebrae to adjust and in what direction to adjust them. In fact, without a biomechanical model, there will be little consistency of manipulative treatment even if only one physician is providing the treatment. All this leads to a lack of reproducible results, which may make the data collected useless. With an accurate biomechanical model, the percentage of very good and excellent treatment results will increase dramatically. In our next column we will discuss the cervical spine. Many doctors have not been able to integrate the Chiropractic manipulative procedures they learned in school into an effective format they can utilize in the office. This results in a poor battle-plan to effectively treat and maximize treatment outcomes. This in turn may result in low expectations by the practitioner regarding the end result of patient treatment. A caring doctor may jump from technique to technique trying to help their patient. The doctor is thrilled once he comes across a technique that helps his patient and the excitement continues as the new technique continues to help more patients. Disappointment sets in once a number of patients do not respond as hoped to the new technique. The doctor goes onto trying additional techniques until one works. Once again the positive excitement continues until the new technique doesn’t help a number of patients. This vicious cycle goes on and on because of a poor integration of techniques resulting in a failure to maximize treatment outcomes. I believe that most of the blame goes to the schools that fail to research the techniques that they are teaching so they can educate students in terms of what is common with the various techniques. The various theories of detecting and correcting subluxations must be thoroughly researched by our Chiropractic institutions. There are many ways of correcting spinal subluxations but there has to be a common denominator as to what it is that we did that resulted in a positive outcome. The Palmer Toggle has probably produced more “miracles”, more positive dramatic outcomes than all of the other techniques combined. The problem is that by utilizing palpation to determine the direction of atlas laterality, the practitioner may make an incorrect conclusion as to the direction of laterality, and the adjustment may lead to a negative outcome. Because of the possibility of a negative outcome, I believe many practitioners that are trained in Toggle, do not utilize this excellent technique. The atlas always goes lateral to the dominant side. If you keep that in mind, you won’t have a negative outcome. Therefore if someone is right handed, and indeed the right side is his or her dominant side, you would toggle the atlas on the right side (the patient left side is against the table and the patients right side is facing up). Please note that although someone writes with their right hand, they may have been born a lefty. Many parents forced their kids to write with their right hand when they were born with their left being their dominant side. This is information that you can get with a thorough case history. If this is the case, you must then determine which side actually is this patient’s dominant side. Many techniques such as Activator and Toftness have incorporated the correction of Atlas laterality into their techniques. There are many upper cervical techniques that attempt to determine the laterality of the atlas, by way of imaging studies. Some techniques utilize leg checks to determine Atlas laterality. Other techniques may utilize muscle testing to make a decision as to determine the position that the Atlas has subluxated. All these tests help increase the chances of correctly determining Atlas laterality, but unfortunately intra-examiner reliability is not as high as it should be. I utilize a modified leg check when checking a patient after an adjustment and I also use the leg check from visit to visit prior to adjusting the cervical region. If a patient is right dominant, with cervical spine involvement, they will usually pull up on their right leg when prone and rotating their head to the right. With cervical involvement, the right dominant patient will have his right leg lengthen when rotating to the left. I am assuming that both legs are anatomically equal and neither has ever been fractured. Please note that when you have a left dominant patient with a cervical syndrome, atlas laterality will be to the left, and left rotation of the head will pull up the left leg. Do not use a modified leg check to determine the direction to adjust the Atlas. Always adjust the Atlas assuming that the Atlas has subluxated lateral toward the dominant side. It has been my experience that once the cervical spine is stabilized and head rotation to the dominant side no longer results in a pulling up of the dominant leg, the abnormal spinal reflex has been broken, and the patient will continue to improve with or without additional adjustments. I do recommend following the case through to maximum medical improvement though. If you do choose to release the patient once they are no longer pulling up on their dominant leg, wait at least another visit or two to be sure that the cervical spine is stable and that the reflex of pulling up of the leg on the dominant side is no longer occurring. While I believe utilizing a Toggle type procedure is the best way to adjust for Atlas laterality, an adjusting instrument such as an Activator, or sustained mild pressure such as used in Toftness, can also accomplish the same goal. Adjusting for Atlas laterality is possibly the most important adjustment you may ever give your patient. Adjusting a lateral Atlas can achieve some of the most quick and dramatic results you will ever see from an adjustment. I’ve had patients that have suffered serious head trauma that have been able to regain full motion in their cervical spine after one Atlas adjustment. One woman that had a sign fall off a building and crush and deform her head. She spent over three months recuperating in a hospital from the accident. She entered the office with a crushed head and no mobility of the neck. After just one Atlas adjustment with an Activator, she was able to regain full mobility of her neck immediately. I’ve had plenty of patients with vertigo that have responded with an Atlas adjustment with a complete remission of symptoms within a few visits. Many hypertensive patients that have not responded to medical pharmaceutical treatments have responded well to an Atlas adjustment. I’ve had asthma patients demonstrate a complete remission of symptoms after just one visit. For example, one female in her 20’s came into my office with severe asthma, and allergies. She couldn’t walk from one side of the room to the other without being completely out of breath. She had been seeing an allergist for shots, once or twice a week since she was a teenager. After being Toggled one time for a lateral Atlas, she began coughing up mucous. She continued to cough up mucous for one month. The woman was miserable since she would also be up half the night coughing up mucous. She came into the office for a second time one month later. This patient was thrilled that she had finally stopped coughing up mucous day and night. She wasn’t the happiest camper when she began coughing immediately after being Toggled again. Her lungs functioned properly after just the two visits and this patient did not require follow-up for the same condition. She was able to even take up jogging. Her allergist yelled at her for going to a “quack” but then told her that he wanted to see her again in one year. We are definitely not just neuro-musculo-skeletal specialists. 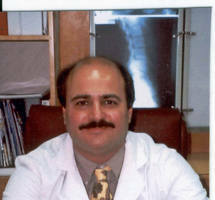 We have the potential of providing effective spinal care for quite a number of health disorders beyond just pain. Unfortunately, not every asthma patient will have full remission of symptoms with a Chiropractic adjustment. Not every hypertensive patient will have his or her blood pressure normalize with Chiropractic care. Not every vertigo patient will have his or her symptoms vanish with Chiropractic care. I am not advocating that the Atlas is the only spinal segment that can be involved in the conditions above. Nor am I dismissing the possibility that someday most of these patients may be alleviated by Chiropractic care, as the profession discovers new and better ways to utilize spinal adjustments to correct faulty spinal biomechanics that may be causing or contributing to these and other health conditions. We will continue with a discussion of the cervical spine in the next column. In my last column I spoke about how the Atlas subluxates laterally to the patients dominant side. Today we will discuss adjusting the rest of the cervical spine. Before I began Chiropractic College, I had never been given a Chiropractic adjustment. I knew very little about the profession. I had just graduated from S.U.N.Y. at Stony Brook. I met a distant relative that was a Chiropractor. I did some asking around. The profession seemed interesting and I figured I’d give it a try and I applied to Palmer. I was amazed that most students were motivated to go to Palmer because of seriously ill family members that were helped by Chiropractors after the allopathic profession had failed them. Of course there were some students that went to the school because being a Chiropractor was kind of a tradition in their families. I had actually entered Palmer with a health problem that I had suffered with for approximately one year. I had been diagnosed with venereal warts and had been to many dermatologists for diagnosis and treatment. None of the medical treatments had any effect on the problem. Some of the treatments resulted in additional problems. During my second quarter at Palmer, I took a course outside of school called Polarity. It was an energy technique in which the doctor contacted two acupuncture points on the occiput and one point on each foot. Within one week of taking the class, there was a complete long-term remission of symptoms. I did not take the class for my venereal warts, so the possibility that this procedure would help my condition never crossed my mind. I definitely was pleasantly surprised at the outcome. I believe it was about third quarter when I took a Receptor Tonus (Nimmo) course outside of school. I was the only person in the class that did not have one single trigger point in any muscle tested. Not too long after that I received my first adjustment ever at the Palmer Public Clinic from an upper level student. He palpated my neck and determined that an Atlas Toggle was in order. He gave me a magnificent Toggle for a left lateral Atlas. Unfortunately, I was really a right lateral Atlas. I am right dominant. I had headaches and neck pain for weeks following my very first adjustment. Not a very good introduction to Chiropractic. My first adjustment was a negative experience. But luckily for me, I was excited about getting over my venereal warts problem and I was surrounded by other students that had been motivated to go to Palmer because of miraculous results from Chiropractic. The Beck Subluxation Model presumes that vertebrae will rotate to a patient’s dominant side. If the patient is right handed and this is their stronger, dominant side then subluxations will occur with the spine segment subluxating in an Anterior-Inferior-Lateral direction on the dominant side. Therefore, the adjustment will usually be on the non-dominant side where the spine has subluxated in a Posterior-Superior-Medial direction. Therefore on a right dominant patient with cervical spine involvement, you will adjust the cervical spine on the left side, assuming a spinous right subluxation. The choice of techniques that you can utilize to adjust this area include: Toftness, Diversified, Gonstead, Thompson Drop, Activator and numerous other techniques. Assume you are adjusting the non-dominant side, which will be posterior. You will not be completely effective reducing the anteriority of the segment on the opposite side if the fulcrum of the segment is anterior. Without correcting the anteriority of the fulcrum, adjusting the posterior side will not give you enough of a lever to correct the opposite side. Techniques such as Diversified cervical adjusting in the supine position may be able to compensate for an anterior fulcrum due to the positioning of the patient as long as the doctor is applying traction to the cervical spine during the adjustment. You may be hesitant to try out my subluxation model on your patients. For those hesitant to utilize the Beck Subluxation Model on your patients, I have a suggestion how you can gradually try it out. Continue to utilize the present procedure that you are utilizing in you office. When your technique directs you to adjust a segment in a direction contrary to what is taught here, just avoid adjusting that segment and watch your results improve. As time goes on, gradually incorporate concepts of my Theoretical Subluxation Model into your practice, as you feel more comfortable with my theories. Our next column will discuss our theoretical model as it relates to the thoracic spine. The Beck Subluxation Model presumes that vertebrae will rotate to a patient’s dominant side. If the patient is right handed and this is their stronger, dominant side then subluxations will occur with the spine segment subluxating in an Anterior-Inferior-Lateral direction on the dominant side. Correction of the subluxation is on the opposite side that has gone Posterior-Superior-Medial. Caution must be taken to accurately determine the patient’s dominant side. While being right-handed or being left-handed is an excellent indicator, caution must be taken to be certain that they are indeed stronger on the dominant side. A small percentage of the general population started out as left-handed and their parents may have attempted to train them to be right handed. It would be interesting to conduct a research project to determine if a parents attempt to make a right handed individual out of a child born left handed has an effect on the general health of that person in the future. Correction is best achieved by manipulating the spinal segment on the patient’s non-dominant side, which has subluxated Posterior-Superior-Medial. Typically I adjust the thoracic spine utilizing a Thompson drop style table. When a specialized drop table is not utilized to adjust the thoracic spine, additional caution must be made not to be too forceful when adjusting. In fact, regardless of what area of the spine you are adjusting, excessive force is never indicated. Ribs and costal cartilage can be easily injured when adjusting a patient in the prone position utilizing excessive force. When a firm contact by the practitioner is taken, with sufficient torque, and this firm contact is maintained throughout the adjustment, force is not required, and trauma does not occur. Some practitioners have a tendency to easing up on their contact prior to thrusting and this results in unnecessary trauma to the patient that is being adjusted. Proper leverage, manipulative skills, and an understanding of spinal biomechanics, will make the use of force when adjusting the spine unnecessary. When I went to Palmer for my D.C. degree, I was taught that anterioriority of a thoracic vertebral segment theoretically does not occur. This information was in direct contrast to what an Osteopathic professor had told me. When I first arrived in Davenport, Iowa, there was an Osteopathic resident that lived in my apartment complex. The man had taught pharmacology at an Osteopathic college for many years. He had written numerous pharmacology texts over the years. In fact, he gave me a copy of one of his present texts as a gift. This man had taught clinical pharmacology to Osteopathic students for many years but never really desired to become an Osteopathic physician himself. That is, until that special night, when he was taken by ambulance to an Osteopathic hospital suffering from severe chest pains. He was positive that he was experiencing a heart attack and did not think he was going to survive the attack. The emergency room physician immediately examined this patient upon arrival at the hospital and then to this mans surprise, manipulated him for an anterior thoracic. The chest pain was immediately resolved and never returned. This pharmacology professor and published author was so impressed, he decided to become an Osteopath. He was in his mid 70’s when I met him and he was completing his residency. So, can a thoracic spine segment go anterior? Of course it can. But not that often. I believe that spinal segments of the cervical spine and lumbar spine have an increased tendency to go anterior because of the cervical and lumbar lordotic curve. The thoracic spine kyphosis makes the possibility of a spinal segment going anterior less likely. When I talk about a spinal segment going anterior, I am speaking of the central part of the vertebrae, which I have referred to as the fulcrum or pivot of the vertebrae. If a vertebrae has gone anterior on the dominant side and posterior on the non-dominant side, adjusting the posterior side will not give you enough mechanical leverage to correct the anteriority on the dominant side, if the fulcrum is slightly anterior. There are numerous techniques that teach the correction of anterior thoracic vertebrae. I am familiar with maneuvers in the sitting, supine and standing positions. I tend to prefer to adjust an anterior segment on a drop table, with the patient in the supine position. I contact the transverse process of the involved segment on the patient’s non-dominant side. The patient’s arms are crossed, and a thrust to their arms is utilized to drop the table. As stated earlier, because of a patient’s kyphotic curve of the thoracic spine, anteriority of a segment is less likely than in the cervical and lumbar spines that have lordotic curves. Chances are very likely that an anteriority of the fulcrum of a thoracic vertebra can usually be corrected and stabilized in one or two visits. If you continue to adjust a thoracic segment for anteriority of the pivot after it has been stabilized, you may cause the entire segment to go posterior, resulting in new symptoms such as heartburn and/or thoracic or cervical spine symptoms. Adjusting the non-dominant posterior-superior-medial side, which acts as a lever to also correct the dominant anterior-inferior-lateral side (the relationship of one transverse process to the other), in the prone position, will not result in adverse symptomatology even after correction has been achieved. When adjusting a patient for rib involvement, I usually have the patient in a supine position. Theoretically the ribs have rotated in an anterior direction on the patient’s dominant side because of the patients more developed spinal musculature on that side. Involved ribs are adjusted with a drop table or an adjusting instrument such as an Activator. The involved ribs are adjusted on the patient’s dominant side in an anterior-posterior direction. Our next column will discuss our theoretical model as it relates to the lumbar spine. My Beck Theoretical Model of Subluxation is at odds with some of the Chiropractic techniques that are out there. There are techniques out there such as Torti-Pelvis that teach that the fourth and fifth lumbar vertebrae will rotate in totally opposite directions when subluxated. My model strongly disagrees with this concept. According to my theoretical model based on clinical experience, all vertebrae will rotate to the patient’s dominant side. The side that has the strongest spinal musculature, which is almost always determined by whether a patient is right handed or left handed. The possible exception to this rule would be someone that was born with one dominant side and at an early age their parents attempted to switch their dominant side by such ways as having them write with their non-dominant hand. The Beck Subluxation Model presumes that vertebrae, when subluxated, will rotate to a patient’s dominant side. If the patient is right handed and this is their stronger, dominant side then subluxations will occur with the spine segment subluxating in an Anterior-Inferior-Lateral direction on the dominant side. While it is of course possible to traumatize vertebrae where it will in fact rotate to the non-dominant side, it is my belief that the amount of force required will most likely result in a spinal fracture and/or spinal cord impingement. We spoke earlier about the possibility of an entire vertebral segment subluxating in an anterior direction. This does not change my theory in regards to the dominant side subluxating in an anterior direction in relationship to the non-dominant side subluxating more posterior. When the non-dominant side is adjusted from posterior to anterior, biomechanically this does not give you enough leverage to reduce the anteriority on the dominant side. The reason for this is that the fulcrum of such a vertebrae, the central pivot of the vertebrae that is like the pivot on a seesaw, is not in its proper position since it has gone anterior. This requires manipulation to reduce the anteriority of the fulcrum if it has been displaced in an anterior direction. If you consider a point by the center of the vertebrae, equidistant from the left and right transverse processes, this is what I describe as the fulcrum. . The lumbar spine appears to have the highest percentage of subluxations involving an anteriority of the fulcrum of the vertebrae. The next most likely area of the spine to have an anteriority of the fulcrum is the cervical spine. To a much lesser extent, the thoracic spine may have a fulcrum that subluxates anterior, but this is less likely because of the normal kyphotic curve found in the thoracic region. I have found flexion-distraction as taught in techniques such as COX to be a safe and effective low back therapy In all honesty, I usually stick to utilizing only neutral flexion, and therefore have not utilized the technique and specialty equipment to their fullest capabilities. I have not utilized the side-bending and rotation capabilities of the table on a regular basis. All patients though, with lumbar spine involvement are treated on a flexion-distraction table. The non-dominant side of the subluxated vertebrae is contacted to make an adjustment. Typically I may use side posture in which the patient’s dominant side is against the table and the subluxated vertebra is adjusted on the non-dominant side. This can also be accomplished with a Thompson type drop table with the patient prone, by manipulating the subluxated vertebrae on the non-dominant side. Another alternative is to have the patient prone and adjust the subluxation on the non-dominant side with an instrument such as an Activator. I also usually utilize S.O.T. Blocks to block a patient that is laying prone Category 1 with the lower block being on the patient’s dominant side. It is possible that a Category 2 blocking may be a more effective blocking procedure for an anterior subluxated vertebral segment, since the procedure is performed in the supine position, but my very limited use of the Category 2 blocking procedure makes me far from an expert to comment on the procedure. I can say from experience that I have never had a negative experience blocking Category 1. While in Chiropractic College a standing maneuver for manipulating the lumbar was demonstrated to me. I believe it was the late Chiropractic Radiologist Russell Erhardt, D.C. that demonstrated this technique after class. I have found this standing maneuver to both effectively traction the spine and reduce anteriority of a subluxated vertebrae. In this maneuver, the practitioner and patient stand back to back. The doctors and the patient’s arms are hooked together. The doctor contacts the patient’s spine at L5-S1 utilizing his buttocks. The practitioner then gently lifts the patient off the ground by flexing his own body forward. Of course the doctor should use common sense when performing this procedure so that he does not hurt the patient or his own low back. Dr. Russell Erhardt following a radiology class also taught another technique to manipulate an anterior lumbar vertebral segment. The maneuver as demonstrated was specifically for a spondylolisthesis of the lumbar spine. This maneuver is most effective utilizing a drop piece table. In this maneuver the patient is supine and the doctor is to the patients side. Assuming an L5 spondylolisthesis, the doctor makes a fist, which is placed under the patient’s sacrum, and a cushion is placed above the segment involved to stabilize the area above the anterior segment. The doctor with his other hand brings the patients legs up to 90 degrees and then thrusts with the patient’s legs at 90 degrees directly toward the table with the drop table cushion set to drop. The momentum of the maneuver propels the anterior segment in a posterior direction toward normal. I utilize a modified form of this procedure when an anterior fulcrum is suspected. I stand on the non-dominant side of the patient and make a fist and contact on the non-dominant side of the anterior segment when performing the drop procedure. It has been my experience that a manipulation on the wrong side of a vertebrae can many times free a joint and provide long-term positive results. Continuing to adjust the same segment in the wrong direction will likely result in chronic symptoms. I’ve had patients that have come into my office that will swear that their Chiropractor back home is the best. If they do not go to their doctor at least once a week for treatment, they are in agonizing pain. Their doctor back home is a God, and he is a miracle worker. He knows how to relieve their pain and suffering! More times than not, the chronic patient was not manipulated on the correct side all these months or years. Within a very short period of time, usually one to three visits, the pain does not continue to routinely return. This patient does not have to suffer with chronic pain if he does not see his Chiropractor. Patients treated utilizing my theoretical model of subluxation will not have ups and downs during treatment. They will continue to demonstrate constant improvement with care. The care and subluxation correction will be similar from visit to visit. Adjustments should not result in a patient feeling worse after treatment. Specific manipulation, when performed on the correct side (an adjustment) should be as close to painless as possible. Some patients may feel some discomfort and pulling the night following their first adjustment. But it should be extremely rare for a patient to have any discomfort on subsequent adjustments. If a patient is improving but not progressing as planned, make sure that your evaluation as to their dominant side was correct. With an understanding of proper body mechanics, force and strength are not necessary. Always utilize the minimum force required to accomplish your goal. Some procedures, such as Gonstead Technique, when performed incorrectly and with excessive force, may cause more harm than good. A patient’s head and neck should never be whipped in an over-enthusiastic manner, especially in the wrong direction in regards to subluxation correction. Care must be taken otherwise a negative outcome may result. A practitioner should never let up on a firm contact just prior to manipulating, since this can result in some unnecessary trauma to the patient that can be avoided. It was about fourth quarter when I took a course on Logan Technique at Palmer. After one of the classes, a classmate demonstrated the Logan Basic contact to a fellow student that had missed the class. Unfortunately, the technique was demonstrated utilizing me as the patient. The contact on the sacro-tuberous ligament was made on the wrong side though with only a few ounces of pressure as was taught. By the next day I had bilateral sciatica and severe low back pain. I went to the professor that taught the course for help, but was told that my condition could not possibly have been caused by the incorrect Logan Basic contact. The technique according to this professor only does good and did not have a downside. The fact is that I did not feel good after the demonstration and I knew that the Logan Basic contact on the wrong side had caused my symptoms. But the professor was adamant that my symptoms were not a result of the Logan Basic Contact. Now began my quest to get proper treatment for symptoms resulting from this very gentle procedure being incorrectly performed on me. First I went to the private office of a faculty member that had the reputation at Palmer as being the best adjuster and having one of the largest practices in Davenport. This doctor had successfully treated and relieved my wife of the high frequency of colds she had experienced for many years. Unfortunately, I was not as fortunate and did not respond to the treatments. Next I went to the private office of an S.O.T. practitioner that had taught this technique at the school. After a short time my symptoms began improving. But then this doctor added in some cranial work. Almost immediately my low back pain and sciatica worsened and on top of that I had a severe headache that ended up lasting almost a month. At that point I figured out that I should have stopped when I was ahead. I guess this was an example that the sutures of the cranium do indeed allow movement. After that I would drive to Iowa City to see a Toftness practitioner. The care gave me a little relief of symptoms but the low back pain and bilateral sciatica remained an ongoing problem. It was very difficult for me to even sit in class due to the pain and discomfort. Toftness practitioners rub a aluminum or glass plate and by feel against the plate they theoretically look for energy emanating from the body, which gives them information as to correcting a subluxation. Mild pressure is utilized on the subluxation to correct it. Logan Basic contacts on the sacrum and contacts on the side of laterality of the subluxated Atlas transverse are frequent points of contact. My wife began treatment there also. On one visit, the doctor that usually treated her was out of the office and another practitioner was covering for them. Utilizing Toftness Technique, the examiner contacted the Axis vertebra and adjusted the vertebra with a light pressure of a few ounces as if the vertebra had subluxated spinous left with the most posterior transverse being on the right side. This is in contrast to my theory. My wife was a right dominant person. By the time we drove back to Davenport, Iowa, my wife’s cervical spine demonstrated an obvious scoliosis and she had severe neck pain. When we arrived home, a mild pressure in the correct direction was applied to her Axis vertebrae. I could visually see the scoliosis disappear as her cervical spine straightened. Within a short period of time the severe pain was gone. These are examples of the effectiveness of some of the gentlest techniques out there. These are also examples of how dangerous even some of the gentlest techniques can be if not utilized correctly. My Theoretical Subluxation Model will help prevent you from adjusting an Atlas, Axis, Sacrum or any other part of the spine in the wrong direction. As a practitioner you must try to always differentiate fact from fiction. As I mentioned in an earlier article, techniques such as DNFT, Toftness, Versandaal, etc. have played a big part in the development of the profession. But we should never take for granted that information provided by a technique developer as being 100% accurate and all claims should be thoroughly researched before accepting them as the truth. This applies to my subluxation model and correlated technique theories as well. I had taken a weeklong Toftness class at the Toftness clinic in Wisconsin. In the class they had boxes with aluminum tops. The boxes would be plugged in and were supposed to give a very mild intermittent electrical charge to the aluminum plate on top of the box. The idea was that if you could be trained to feel the mild electrical charge from the box, you would be able to feel mild energy escaping from the human body that would help you determine the correction of subluxations. I watched as the practitioners teaching the class would walk around the class and confirm to the students that they were accurate when they thought they were feeling electricity on the aluminum plate. What bothered me a little though was that some of the electrical boxes were not plugged in, yet the teachers were confirming to the students that they did indeed feel the electricity. Actually, to be truthful, it bothered me a lot. I went back to my hotel room thinking, “boy would I like to have my $1500.00 back!” We had been given cylinder devices with glass lenses, that had a glass top lens to rub, which I brought back to the hotel room, I shut the lights; closed my eyes; threw a penny across the room, and tried to find the coin by rubbing the glass lens. I was very accurate in finding the coin by rubbing the lens while my eyes were closed. This really freaked me out and sent a chill through my spine. Now I really had a dilemma. This class was total baloney, but then again it wasn’t. In Palmer clinic, another practitioner that had taken DNFT/Van Rumpt called me into a room. Their patient that was in the prone position on the table had fractured a vertebrae that was confirmed by x-ray. I did not know this patient or anything about them. Could I find which vertebrae they had fractured utilizing the DNFT procedure of communicating with the patient’s body by way of their feet? Without touching the patient, or even knowing what part of the spine had a fracture, I determined the exact spot of the fracture even though their entire back was covered. Am I promoting techniques such as DNFT, Versandaal, and Toftness? I believe among some practitioners these subluxation-determining techniques have some intra-examiner reliability. Unfortunately, among the general population of doctors that are familiar with the techniques, I believe there is an unacceptable poor level of intra-examiner reliability. Do I believe that such techniques have played an important part in the development of the profession? I believe this very strongly. Do I believe that Chiropractors should take classes in these and similar techniques? I believe this very strongly. The more you learn the better. The practitioner taking such a class needs to understand that such techniques lack a very good intra-examiner reliability. Since the determination of subluxations by these techniques may be unreliable, the practitioner must understand that they should not utilize these techniques as a determination of subluxation. Such classes give us a better understanding about the complexities of the human body and how little we really understand about the intelligent energy that keeps us alive and seeks a healthy equilibrium. We will continue to discuss the sacrum and pelvis in my next article. The Beck Theoretical Model Of Subluxation hypothesizes that subluxations do not occur randomly and can be predicted by knowing the patients dominant side. We have also offered a Correlated Technique approach that offers you numerous adjustment options to accomplish the same task. I’ve stressed utilizing the Scientific Method to evaluate individual techniques and the importance of comparing techniques with each other to determine how they are common and how they differ. It is up to the practitioner to scientifically evaluate the techniques to determine which theories are valid and which are not. It is up to our Chiropractic institutions to fully evaluate the techniques out there to help integrate the various theories into one theoretical model. This will aid the new practitioner when evaluating new techniques in the future as well as provide the doctor with an arsenal of treatment strategies to utilize in their office. We can continue to make claims that we are different from manipulators because we are very specific when adjusting a spinal subluxation. Unfortunately such claims may not hold water considering what I find to be very poor intra-examiner reliability in determining the spatial orientation of a subluxation. There is almost a complete lack of research within the profession evaluating Chiropractic techniques for their validity. Our colleges have not met their obligations to the public and the profession to thoroughly research the Chiropractic techniques being taught. In the past, the profession relied on the claims of the technique developer. If the technique developer said the technique was valid, then the technique was valid. If the technique developer said he researched his own technique, then we had a thoroughly researched valid technique. Only independent, double blind, scientifically designed, well thought out research, that eliminates examiner bias, can be considered valid research. We have not been doing this to evaluate the techniques we are utilizing. Our Chiropractic Institutions must be able to compare various techniques and theories within a common framework so that we can work the techniques into a Chiropractic arsenal to effectively correct subluxations and defective body mechanics. The Beck Theoretical Model of Subluxation assumes that subluxations do not occur randomly. The model predicts that a vertebrae will subluxate in a specific direction based on body mechanics. I am of the opinion that we can achieve close to a 100% intraexaminer reliability utilizing my model. The Beck Subluxation Model presumes that vertebrae will rotate to a patient’s dominant side. If the patient is right handed and this is their stronger, dominant side then subluxations will occur with the spine segment subluxating in an Anterior-Inferior-Lateral direction on the dominant side. Therefore, the adjustment will usually be on the non-dominant side where the spine has subluxated in a Posterior-Superior-Medial direction. The assumption is that the musculature on the patient’s dominant side will always have the tendency to rotate the vertebrae in that direction. The theory postulates that even when most of the trauma and resultant spasm may be on the side opposite the dominant side, the dominant side will still exert a stronger reaction to rotate the vertebrae in the direction of the dominant side. I believe the amount of force necessary to rotate a vertebral segment toward the non-dominant side would also most likely result in a fracture or severe spinal cord compromise. It is my opinion that the sacrum will go inferior on the dominant side. So a right-handed, right dominant patient will have an inferior sacrum on their right side. A gentle Logan Basic contact on the sacro-tuberous ligament on the patients dominant side is an effective technique to reduce the inferiority of the sacrum. An inferior sacrum can also be effectively adjusted on a drop table. With the patient prone and utilizing a Thompson style drop table, the practitioner can make a contact with the sacral notch on the patients dominant side, with the line of correction being the same as if you were making a Logan contact (inferior-superior toward the dominant shoulder). At the same time I have my contact on the sacral notch of the involved side, I have another contact on the sacral ala on the non-dominant side, with the line of correction from posterior to anterior and a slight superior-inferior direction. Both the dominant side sacral notch and the non-dominant sacral ala are adjusted at the same time with the drop table in one smooth maneuver. These points can also be adjusted with an adjusting tool such as an Activator. With the patient prone, the left and right side of the subluxated pelvis can also be treated in one maneuver on a Thompson style drop table. The sacro-iliac joint is contacted on the patient’s dominant side, with the line of correction inferior-superior. At the same time I am contacting the patients dominant sacro-iliac joint, I am contacting the patients Anterior Inferior Illiac Spine on the patients non-dominant side with a line of correction of posterior-anterior and superior-inferior. Both sides of the pelvis are adjusted in one simultaneous maneuver. The subluxated pelvis can also be adjusted side-posture. The patient lays on their non-dominant side and a contact is made with the sacroiliac joint of the dominant side. The adjustment is from inferior-superior. The patient then lays on their side with the dominant side down and contact is made with the Anterior Inferior Illiac Spine on the non-dominant side. The adjustment is posterior-anterior and superior-inferior. S.O.T. blocking is also an effective technique to adjust the subluxated sacrum and pelvis. Blocking is also used in Applied Kinesiology. Typically I will block a prone patient Category 1 with the lower block being on the patient’s dominant side. Category 3 is always utilized with my sciatica patients along with a piriformis leg stretch. I also utilize a Category 3 leg stretch on any low back patient that I feel may benefit from the procedure. Category 2 blocking technique may be more beneficial for many patients, but my experience is limited in regards to Category 2 blocking. We’ve discussed the biomechanics of the subluxation and a theoretical model that determines the spatial orientation of a subluxation. We have also discussed a Correlated Technique approach to correct subluxations. In my next column I will discuss determining just what to adjust. I hope that my theoretical biomechanical model of subluxation is a starting point for future research. By no means should my model be construed as the final say on the subject. As with any procedure you perform in your office, professional judgment is essential. For instance, you are not going to manipulate into an area of the cervical spine where a anterior spinal fusion has been performed. Even though symptoms in the failed surgery may indicate nerve involvement at that level, many times you can still achieve complete remission of symptoms by adjusting another area of the spine. Many times I’ve found that by adjusting the Atlas, I can achieve a complete remission of the symptoms that usually indicate a lower cervical spine lesion. I challenge each and every Chiropractic institution to research my theories. We can no longer assume that just because a technique is taught at an accredited institution, that it has been thoroughly researched. Our institutions must research and evaluate the techniques out there to achieve a better understanding of the subluxation and the alternative ways of correcting it. I’ve discussed that it is indeed possible to incorrectly adjust a vertebrae on the wrong side yet achieve positive results. Care must be taken not to continue adjusting a spinal segment in the wrong direction although initially a positive result was achieved. Chiropractic research must be very careful when a “sham” adjustment is being performed in a research study. What constitutes a “sham” adjustment? We usually have very poor intra-examiner reliability even within the same technique and with the large variety of techniques available to clinicians the intra-examiner reliability is even worse. A real manipulation should never be utilized as a “sham” adjustment since as stated before, even a incorrect adjustment may have a positive result if not over-utilized. An adjustment does not have to be an osseous maneuver to be effective. Pressure techniques such as Toftness or a Logan Basic contact are procedures that can obtain very powerful positive results when utilized correctly and negative results when improperly utilized. Therefore pressure techniques should never be utilized as “sham” treatments in research. Massage techniques such as Receptor Tonus Nimmo is also a very effective technique and should not be utilized as a “sham” treatment in Chiropractic research. Polarity is an energy technique that is effective so just the effect of a hands on “sham” treatment may effect the energy of the body of the patient and effect treatment results. Blocking techniques as used in S.O.T. and Applied Kinesiology are effective techniques so they should not be utilized as a “sham” treatment. Osseous adjusting is out as a “sham” treatment. The only possible “sham” manipulation would be utilization of an instrument such as an “Activator” that is set on zero so that it makes a noise but does not deliver a manipulation. Even with an adjustment set at zero, I’m not that certain how good of a “sham” treatment it is. Our profession must increase our patient base. The idea is not to create a waiting room of chronic patients. We have the ability to get sick patients well quickly and that should be our goal. If your average patient is not getting well quickly after a few adjustments, you need to re-evaluate the care that you are providing. If you are not providing quality care and your acute patients are becoming chronic ones you need to re-evaluate what you are doing. If a practice management firm has established your goals and you are striving for the most patient visits out of a patient with no regard for their health, you really should not be in this profession or any profession in which you are in charge of the patient’s healthcare. Chiropractic is an art and science. Hopefully more of a science in the future. and how to correct it, but what segments of the spine do we adjust? When I went to Palmer, probably the most respected and sought after Chiropractor in the community, used what everyone called the “shotgun” method. He adjusted anything and everything he thought could or might be subluxated. My theoretical model has subluxations rotating toward the patient’s dominant side. Because of the stronger musculature on the patient’s dominant side, there is a tendency for or vertebrae to rotate in that direction. This makes it safe, utilizing clinical and professional judgment, to adjust the non-dominant side safely even if the vertebrae has not subluxated. So I take a shotgun approach when it comes to adjusting the spine. Careful attention should be given to the atlas and axis; transitional segments of the spine such as C7/T1 where the spine switches from a lordotic curve to a kyphotic curve and T12/L1 where the spine switches from a kyphotic curve to a lordotic curve. These transitional areas tend to get stuck when there is spinal involvement. Special attention should also be given to L4 and L5, and the sacrum and pelvis. Are anticipated to start in 2012.
your curriculum; etc., may contact Fred Beck, D.C.
responses and hand dominance in file sharing section.